Growing up in the mountains of Colorado I worked as a ski instructor and river guide. I earned a Bachelor of Arts degree in Photojournalism from the University of Kansas. I also took courses in fine arts photography. 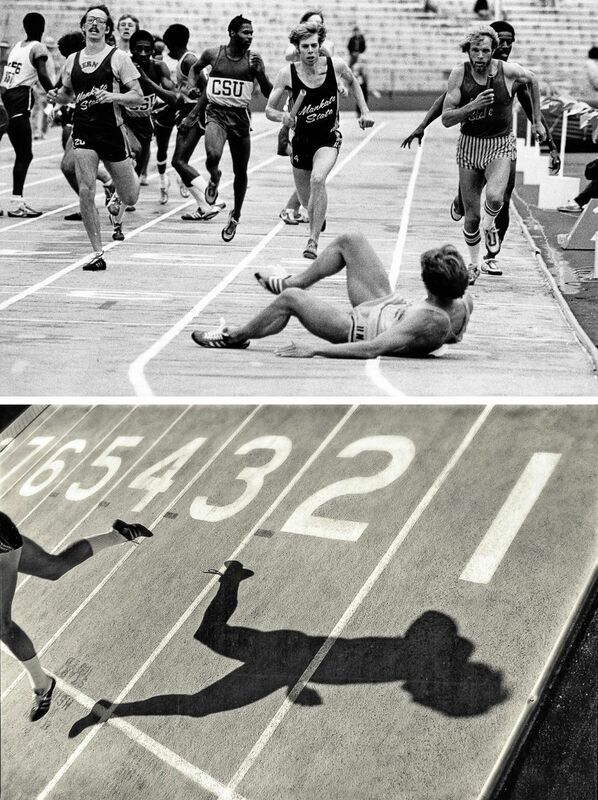 I felt that I was getting the education I’d come for when standing in one spot, I shot the two photos seen on the left at a track & field event - one went out on the UPI wire service, the other was selected to be added to the art photo collection at the Spencer Art Museum in Lawrence, Kansas. I spent several years as Marketing Photographer for the ski areas of Winter Park, Breckenridge, and then Vail Colorado. I worked with Greg Stump for six years making ski films, including THE BLIZZARD OF AAHHHS, before making my own ski film, SNOWHAT? (winner, International Ski Film Festival). For two seasons of MTV Sports, I was the main segment cameraman (Emmy winner). I have been Director of Photography or Camera Operator on a variety of feature films, TV shows and commercials including: Mighty Ducks 2 and 3, Airborne, Mystery Alaska, Slapshot 2, Moto-Crossed, Johnny Tsunami, NUMB3RS, Fox REPLAY, and the “Team Tiger” campaign of sports oriented Kelloggs commercials. As the sole photographer for Driving.com, (not online) I developed my skills as an automotive photographer shooting over 300 cars in one year. When the dot-com folded, I went freelance.